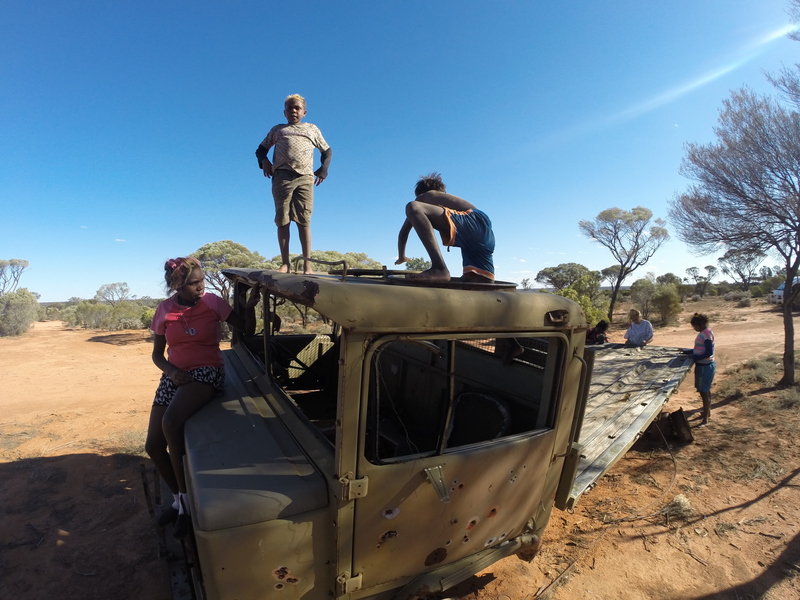 Last year in December me and fellow crew mate Lamaroc were blessed with the opportunity to work with the Anangu youth of Tjuntjuntjara. 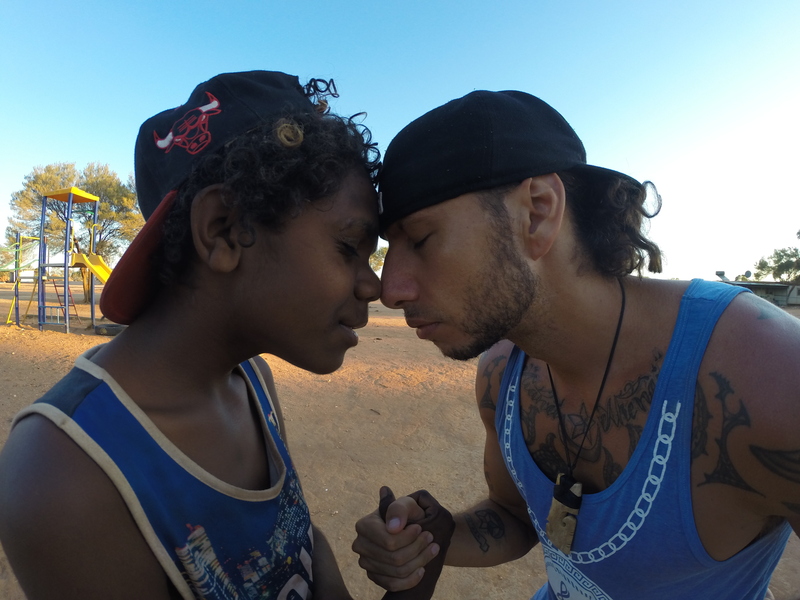 Over the course of 10 days we ran one of our newest programmes, ‘BREAKTHRU – Hip Hop 4 Health’. This programme aims to engage the youth through Hip Hop culture, with a huge emphasis on Health/Fitness and adapting your local culture in to the way you express yourself through Dance, Art, Rapping and DJing. 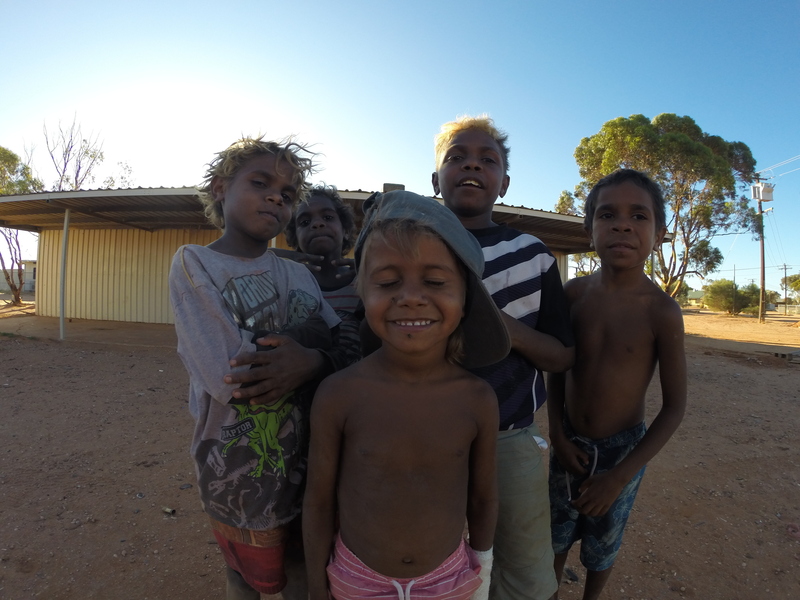 At the end of the 10 days we had shot enough footage to put together a documented account of the programme as well as a little video clip production of the kids performing for the camera. The Video was then shown to the whole Community on our last night. We basically aimed a projector at the side of a shed while we all sat on the ground and watched the movie under the stars. Amazing experience! I’ll have those movies up soon on my site real soon. In the meantime here are a few pics. One of their heritage sites. 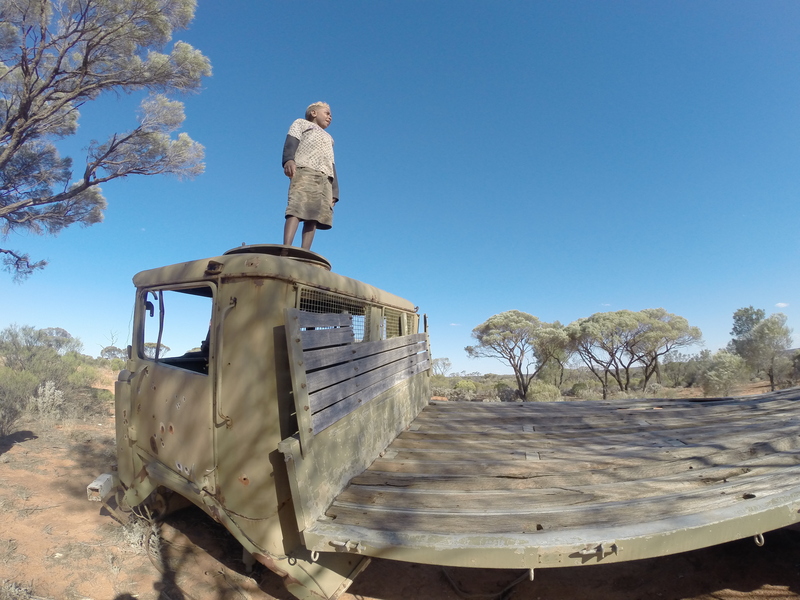 The Anangu people were removed from their original homeland in the 50’s and 60’s and relocated to Tjuntjuntjara on this Truck. Notice the bullet holes in the door. Left to Right: Jarrad, Brayden, Shawn, Phillip, Waylan. Hongi – An Indigenous exchange.